Merry Christmas friends, family, and blog followers. It’s been a busy season. We have a new addition to our menagerie, a Jack Russell we named Ginger, so we’ve been pretty busy getting her adjusted to life with us. I cannot believe Christmas has come and gone. It seems like I just put the decorations up, and now it’s almost time to put them away again. I love this time of year; it just seems so magical to me — the lights, the carols, the cookies, the cookies… Speaking of which, let’s bake some. It’s never too late for more Christmas cookies. The season isn’t over yet, and January, with its resolutions and diets and good intentions, will be here soon enough. About a week ago I prepared a pretty substantial Indian meal — pakhoras, samosas, curry, basmati rice, eggplant, and the chutneys and pickles to go with it. I was cooking for guests and I wanted to prepare a dessert, but what would go with Indian food? I subscribe to “The Local Palate” magazine, a cooking periodical that covers the food scene in the South. Through the magazine’s website I discovered a chef named Maneet Chauhan, executive chef of Chauhan Ale & Masala House in Nashville, Tennessee, and a judge on Food Network’s “Chopped.” Hmm, I just might have to make a trip to Nashville someday. The magazine posted a link to a recipe for Indian Shortbread Cookies. They sounded amazing and different and they were. I served these with ice cream flavored with ginger and cardamom and it was a wonderful dessert that complemented the Indian meal beautifully. Don’t think you have to serve these cookies with an Indian meal. They can easily stand alone or make a great addition to a platter or basket of a variety of cookies. They are also great with a cup of tea or Chai on a rainy afternoon. For some reason they disappear quite quickly — at least they did in our house — so you might want to make a double batch. You can use clarified butter or even regular butter for this recipe but the results will not be the same. What really makes these cookies is the nutty ghee flavor. The dough for these cookies is very crumbly, but it will come together into small balls with a little work. It’s best to use your hands for this rather than a spoon or other tool. I rolled the dough into balls slightly smaller than a golf ball, about an inch and a half in diameter. Preheat the oven to 300 degrees. Warm the milk, add the saffron to it to dissolve and set aside. Place the semolina and AP flour in a bowl and whisk to sift. Cream the ghee and sugar using a mixer. You will know when it’s ready when it loses its graininess and becomes the consistency of smooth peanut butter. Add the cardamom and nutmeg to the mixer bowl and mix in, then add the yogurt and baking soda and mix again. Add the flour mixture to the ghee mixture a little at a time. Remove the dough from the mixer bowl and knead by hand to combine. 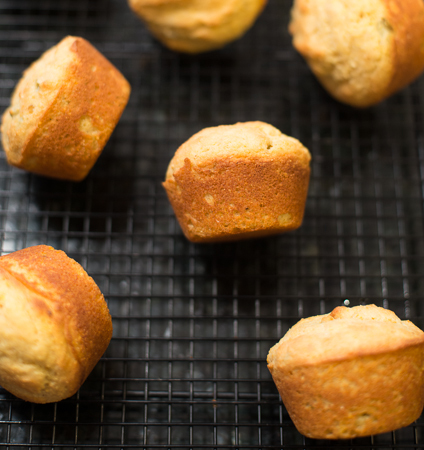 Roll the dough into balls and place them on a parchment or silicone-lined baking sheet. Bake for 35-40 minutes. Happy Mothers Day! Some may wonder why I chose a bread recipe for a Mothers Day post when the food blogosphere is full of Mothers Day brunch ideas, many of which sound fabulous. Actually, my mother never has been the breakfast in bed type. However, I think she would really like this bread. Remember Gourmet magazine? I still mourn the demise of that magazine. I guess it was about a year before they ceased publication that they started doing a Gourmet Cookbook Club. I bought every book they recommended, and what a selection it was. There was something for everyone, from Chinese food to breakfasts. This recipe was taken from one of the Gourmet Cookbook Club book recommendations. The Art & Soul of Baking is a beautiful book that was published by Sur la Table. They chose professional pastry chef and cooking instructor Cindy Mushet to write the book. It’s full of classic pastries like the ones I learned to make in culinary school, but there are some interesting twists as well. I will probably never take the time to actually cook all the recipes in one book, but I sort of keep a list of a few cookbooks in my head that I wouldn’t mind revisiting quite frequently. This is one of those books. I’ve always really enjoyed making bread. I love how the dough looks fluffy after the first rise and the feel of it in my hands. I love the idea of creating something that people in all cultures of the world have been making and eating for centuries. 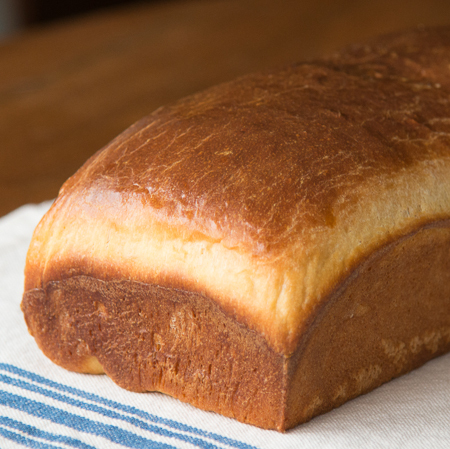 No matter how time marches on, there will always be bread. 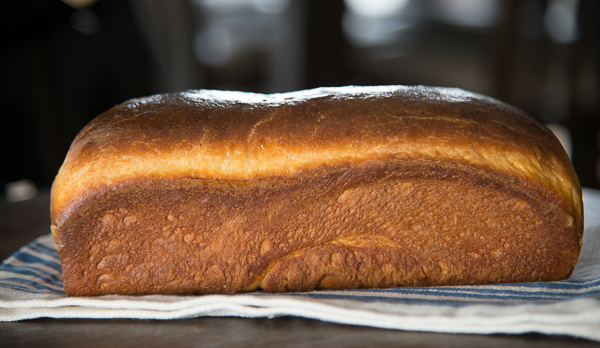 This cheese bread has some great possibilities. A slice of it would be great along side a bowl of soup. I tried using it for a grilled cheese sandwich — off the charts. I’ve also had it toasted in a pastrami sandwich, but roast beef would be equally good. I’d always wanted to try making a cheese bread; and when I saw this recipe, I knew this one was it. This recipe initially called for cheddar cheese, but don’t limit yourself to cheddar. You could vary the type of cheese with the type of mustard you use. I ended up using something called Catamount Hills Cheese, described as “an Italian-type cheese with notes of Swiss and Parmesan,” with Dijon mustard. Place water, sugar, and yeast in a small bowl and whisk to blend. Set aside for 10 minutes or until the mixture becomes foamy. Meanwhile, grate the cheese into a separate bowl, using the large holes of a box grater, mix it with 1 tablespoon of the flour and set aside. Whisk the milk and melted butter in a medium bowl. Place the remaining flour and salt in the bowl of a stand mixer with a dough hook installed. Mix for 1 minute on medium speed to blend. Add the yeast mixture, milk mixture, and Dijon mustard to the bowl and blend on medium speed for 5 minutes. Add the cheese and knead for 2-3 minutes longer. Cover the bowl with a damp cloth and allow to rest for 20 minutes. This allows the dough to fully hydrate before continuing to knead it. Turn the mixer speed to medium low and continue to knead the dough until it is firm, elastic, and smooth, 3-6 minutes. Scrape the dough into a lightly oiled bowl and spread a little oil over the surface of the dough. Cover the dough and place in a draft-free location to rise until doubled in size, approximately 45-60 minutes. Turn the dough out onto a lightly floured surface. Firmly press the air out of the dough, but do not knead it. Press the dough into a rectangle. Fold the dough into thirds. It should be the same size as the loaf pan. 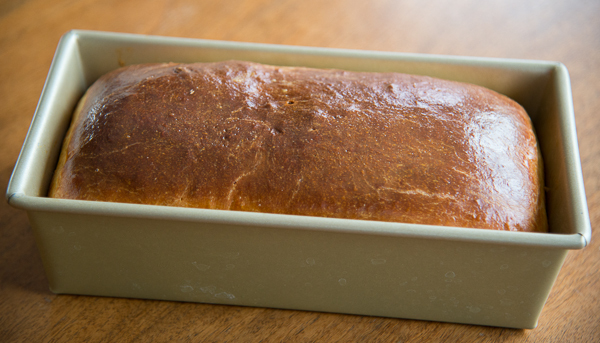 Lightly coat the loaf pan with butter or oil and place the dough in the pan, seam side down. Lightly oil the top of the loaf, cover with a damp towel and place in a draft free location until the dough has risen 1/2 to 1 inch above the pan, about 45-60 minutes. Meanwhile, position an oven rack in the center of the oven and preheat it to 375 degrees. Brush the top of the loaf with the beaten egg. Bake for 40 minutes. 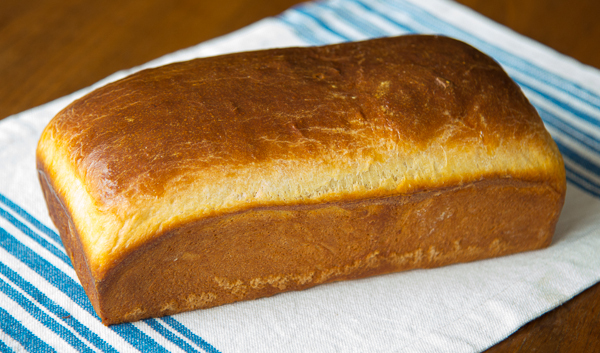 The bread should be golden brown, and the internal temperature should be 200 degrees. Transfer to a rack to cool. 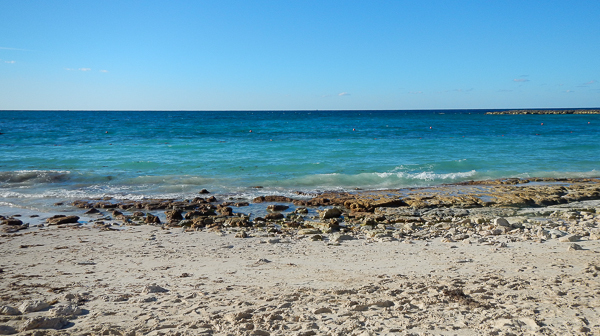 My husband and I just returned from a short trip to Nassau, Bahamas. Unlike most of our vacations that have purpose, usually visiting friends or family, this trip was just for us, with the primary goal of not doing much more than enjoying some delicious meals and staring at the ocean. We accomplished that goal. So much so, that it never occurred to us to check the Washington, D.C. weather until we were at the airport awaiting our return flight. Imagine our shock when we discovered snow and negative-number wind chills were in the forecast. Ugghh! Don’t get me wrong, I love snow and winter weather, preferably when I am inside, in front of a fire. But it was a bit too much when compared with the sun and sea, the bright blue sky, and the temperatures in the 70s that we had so quickly become accustomed to. Reality check – it’s still winter, Jeannine. For me, comfort foods come to mind when the snow flies, and that usually means some sort of soup. I love them all – Thai chicken, chili, vegetable beef, broccoli and cheese, the varieties are endless. Nothing is more comforting than a bowl of soup on a cold day, especially when accompanied by some fresh homemade bread, rolls or savory muffins. I made these muffins to go with black-eyed peas on New Years Day, but they will go well with almost any type of soup. Last New Years I attempted gluten-free baking for the first time by substituting gluten-free flour for regular flour in my normal cornbread recipe. The results were anything but spectacular, but my wonderfully supportive husband choked that cornbread down until it was finished. My gluten-free baking has improved considerably since that first effort, and I was really pleased with the way these muffins turned out. I hope you like these muffins as well as I do. If you make them, please send me a comment and let me know what you served with them. I have found that I get better results by mixing my own gluten-free flour blend than when using a commercial product off-the-shelf, but in a pinch I use the King Arthur Gluten-Free Flour. If you want to make your own, I used 2 cups white rice flour, 1 cup brown rice flour, 1 cup tapioca flour or starch, and 1/2 cup potato starch. This makes quite a bit, but stores well in the freezer. This recipe worked well with palm sugar, but you can use granulated if that’s what you have on hand. Preheat the oven to 375 degrees. 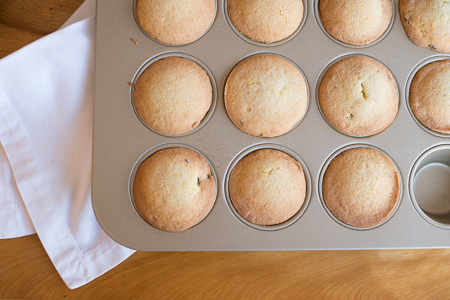 Coat a 12-cup muffin pan with cooking spray or use paper cupcake liners. In a large bowl thoroughly whisk the flour, cornmeal, sugar, baking powder, xanthan gum, baking soda, and salt. Make a well in the center and set aside. In a separate medium bowl whisk the eggs until frothy. Whisk in the butter and buttermilk and mix then stir in the green chilies. Pour the liquid mixture into the well in the dry mixture and stir until just combined. Do not over mix. Spoon the batter into the muffin cups. The cups should be almost full with a mound in the center. Bake the muffins 16-18 minutes, until golden brown. 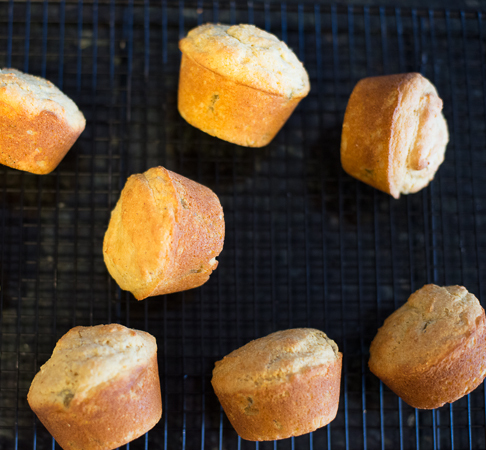 Immediately transfer the muffins to a wire rack, cooling them on their sides. When I started this blog a couple of months ago I decided to call it Jeannine’s Cuisine, because that is exactly what I wanted my posts to be about – the food I love and the way I eat. Rather than concentrating on any of my many interests: pastry, baking, healthy food from real ingredients, the myriad of cuisines I have experienced in my travels, I wanted it to encompass all of that. And, so far, I believe it has. Now, it’s time for Jeannine’s Cuisine to move in a slightly different direction for a while. I was recently tested for celiac disease, and although the test came back negative, it seems I have some sort of gluten intolerance. I am definitely discovering through experimentation that I do much better when I don’t consume gluten. So, the blog will still contain scrumptious recipes, but, from now on, at least for the time being, they will be primarily gluten free. This couldn’t have happened at a worse time than right before the holidays. I checked out some of the gluten free offerings at the local supermarket and was not thrilled. It seems the gluten-free stuff is more processed than the other packaged food, but that’s not what Jeannine’s Cuisine is all about anyway. Once again I discovered this was the perfect excuse to buy more cookbooks. Do you see a pattern here? Help! I have a cookbook addiction. I decided to try muffins as my first foray into the gluten free baking world. Muffins are pretty much the easiest of all quick breads, and suitable for breakfast or with a cup of tea in the afternoon. 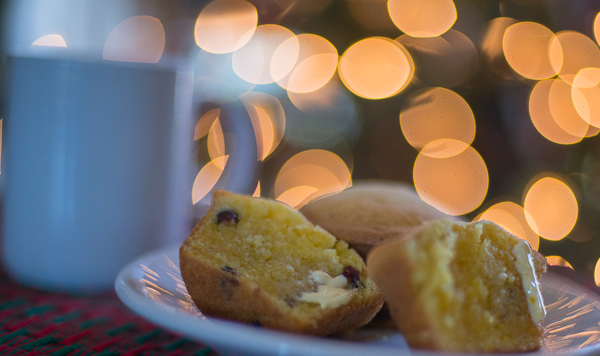 The holidays are upon us and cranberry and orange seemed like a good combination. The recipe I chose is from Crave, a gluten free bakery in the San Francisco Bay area. You could use any fat in this recipe. I just happen to have a lifetime supply of palm shortening on hand. Regular shortening would work, as would butter if you tolerate dairy. The original recipe also called for rice milk, which would make the recipe dairy free. Preheat the oven to 350 degrees. Spray a 12-cup muffin tin with non-stick spray or use cupcake papers. Whisk the tapioca flour, rice flour, potato starch, baking powder, baking soda, xanthan gum and salt together. Place shortening and sugar in the bowl of a stand mixer and cream on high speed with a paddle for 3 minutes. Add eggs and extracts and continue beating on high speed for an additional 2 minutes. Alternate adding dry ingredients and milk, adding half of each at a time. Add cranberries and orange zest and beat for another 2 minutes. Bake muffins for 10 minutes then turn pan and bake an additional 10 minutes. Remove from oven when a tester comes out clean. 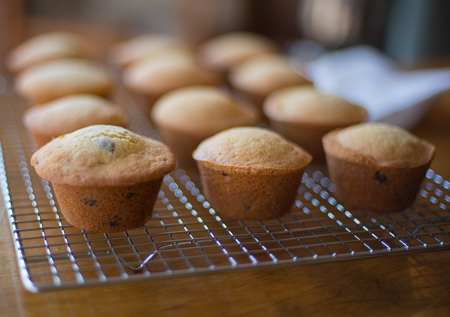 When cool enough to handle gently remove muffins from pan and cool on a rack.